Beaufort is a community that’s best explored from the water, and paddlers of all skill levels can find an adventure or two in store through Beaufort Paddle. Located in between the towns of Beaufort and Morehead City, and conveniently found along US Highway 70 / Arendell Street, this all-encompassing kayak company offers a wealth of guided tours, lessons, and rentals to allow every vacationer plenty of time to explore the wide open waters that surround the Crystal Coast. 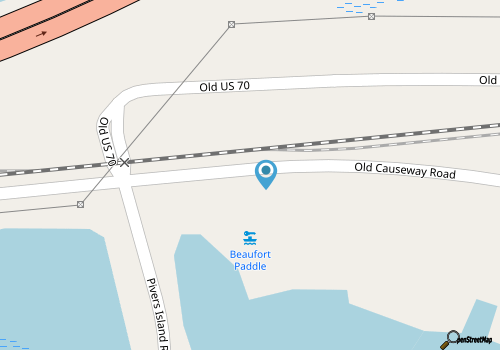 Visitors who want to explore the area on their own can pick up a kayak for an hour, half day, full day, or for an entire vacation, and can even have the vessel and all the equipment delivered to their Beaufort location. For a little help getting started, or an introduction to a new sport, visitors also have the option to sign up for Stand-Up Paddle Board lessons, which are offered to 2-6 people at a time, or available on a private basis. There’s also a wealth of kayak fishing and local tours available for kayak explorers, which concentrate on the picturesque regions of the Rachel Carson Reserve, Bird Shoals and Historic Beaufort. From guided treks to rental equipment, there’s no shortage of ways to enjoy the water with Beaufort Paddle. Call 252-725-3065 for current hours.